Under the sponsorship of the New Mexico Library Foundation, national library consultant Penny Hummel is conducting an assessment of New Mexico’s diverse libraries this spring. The goal of the project is to identify the current state of the New Mexico school, public, tribal, academic and special library sectors. Fill out an online survey. In early May, we will be going live with an online survey designed specifically for library directors and leaders of all New Mexico libraries. 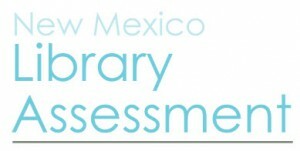 If you lead a New Mexico library, watch your inbox in early May for the link to the survey, and be sure to complete it. We need your input! If you like to reserve your space in a focus group, e-mail penny@pennyhummel.com specifying which one you prefer. If you would like to help promote the community conversations in your community, e-mail penny@pennyhummel.com for a flyer and tools to use in social media. This assessment offers exceptional opportunity for New Mexico’s libraries to provide comprehensive input about their current and future needs. You can find out more about the project on the New Mexico Library Foundation’s website. If you have any questions, contact researcher Penny Hummel (penny@pennyhummel.com), Carol Hoover, chair of the board of trustees of the New Mexico Library Foundation (foundation@nm-lf.org) . Thank you so much!